We greatly appreciate all of your wonderful suggestions. We also respect your privacy, and will NEVER sell or give your personal information to anyone without your express permission, unless required to do so by law. 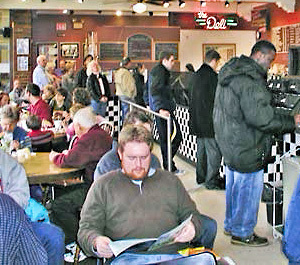 The combination of delicious sandwiches, good service and unique racing theme have customers speeding back to Franklin Square Deli often.